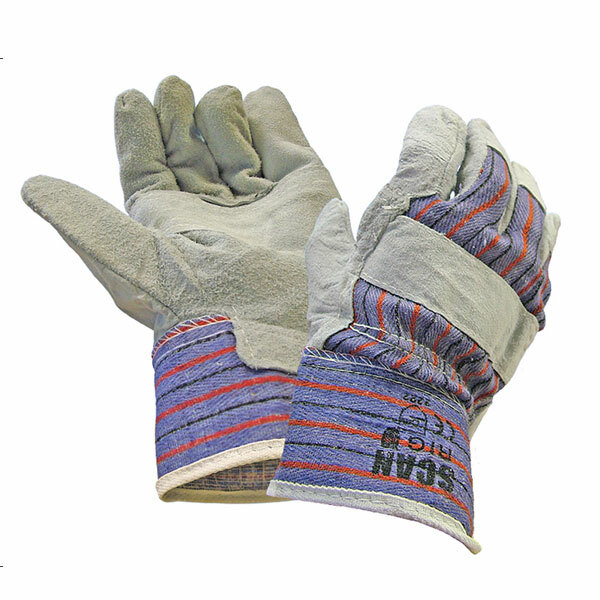 Scan Rigger Glove’s are a general purpose glove suitable for most DIY tasks. Made from canvas with added protection, with hard wearing leather palms and reinforced fingers and knuckles. Made from cowsplit leather with patched palm and striped cotton back, with reinforced sections on the fingers and knuckle strap. The gloves also have pasted cuffs. Conforms to Standard EN420 and EN388.